Size 24 of this colour will ship close to Jun 5, 2019. Learn More about special orders. 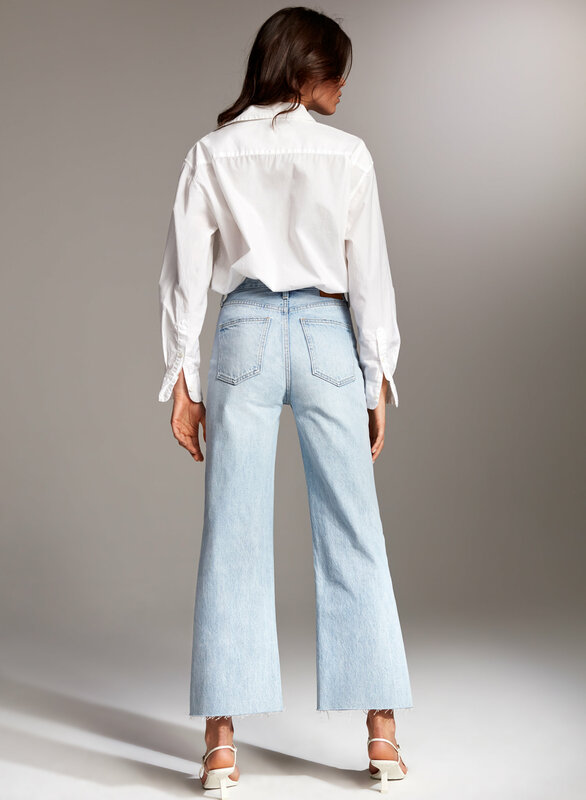 Inspired by bold, adventurous '70s icons, the Farrah is Denim Forum’s signature wide leg. 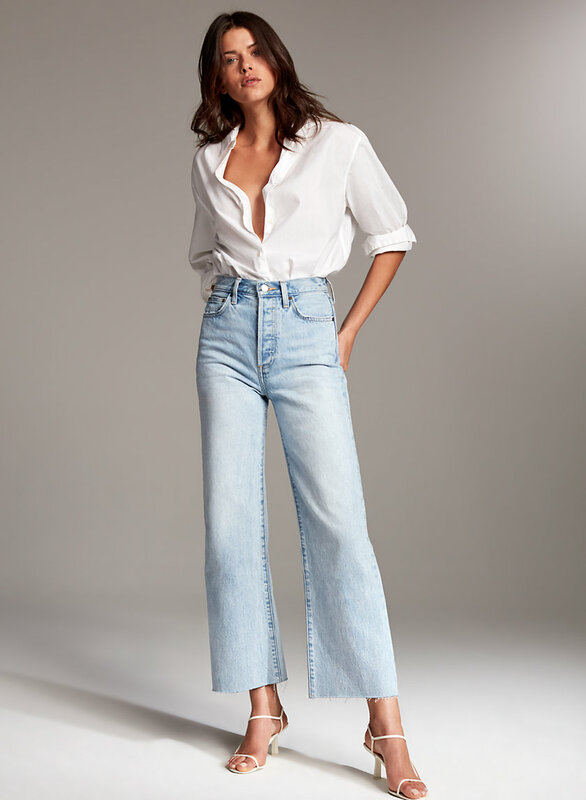 High rise and slim in the hip, Farrah hugs the figure and flares gradually out from the leg, ending in a raw hem. Premium Italian organic-cotton denim is specially washed to make it extra soft. Go ahead, ride a skateboard. Fight crime. But do it with big hair. This version comes in a pale blue wash with fading throughout the leg. Shirt is stylist's own. 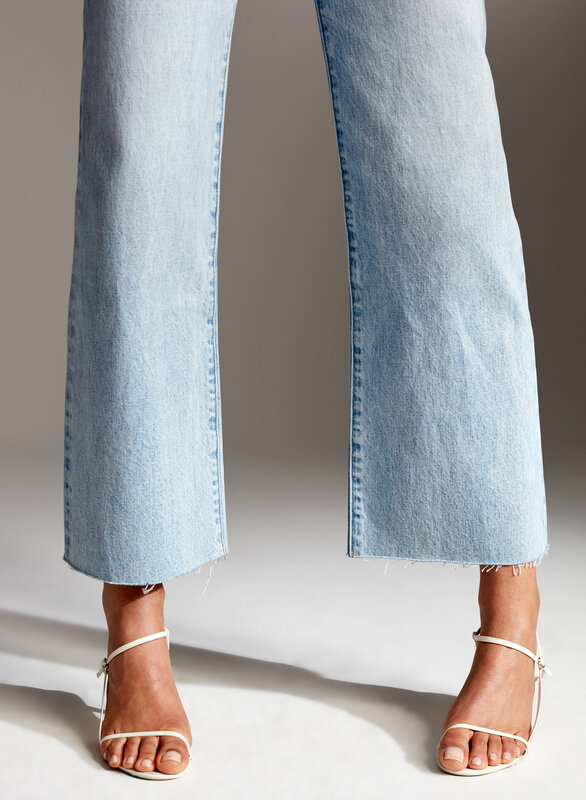 I'm obsessed with high-waisted wide-leg crop jeans but these are the most uncomfortable pair that I own in this style. 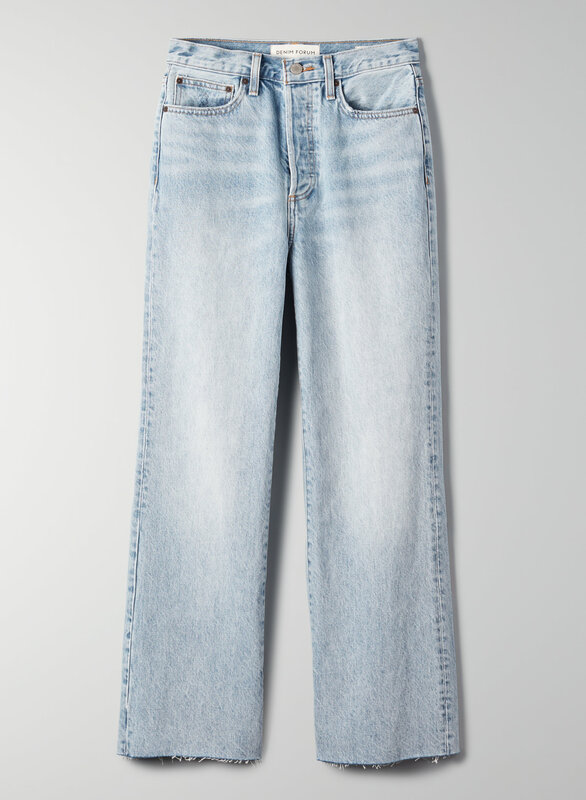 The denim is simply too thick & rigid for comfort without any elastane. 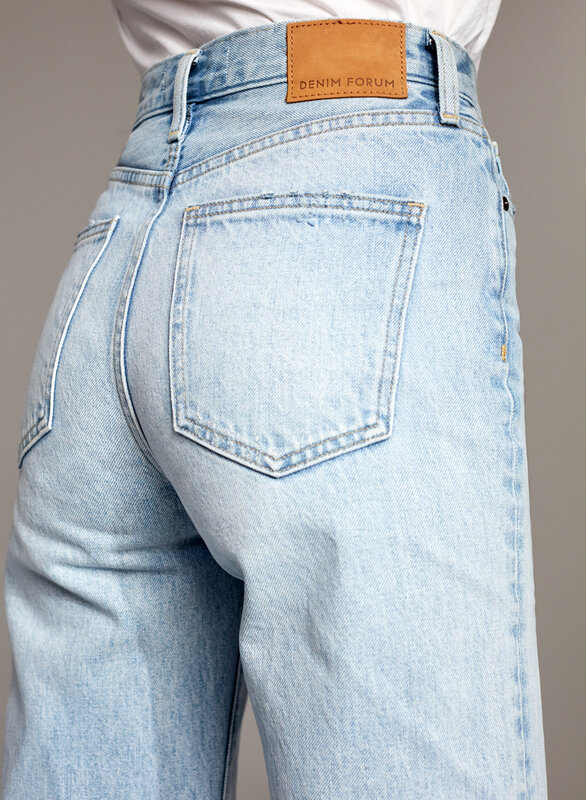 I basically wore these for a couple hours for a few days at home to soften the denim but I still feel like I'm going to pass out when I bend over due to the high waist and lack of stretch. After all this breaking in I don't think I'll ever wash these jeans lol. Keep to your regular size, might be a bit on the smaller side. They don’t flare too much almost straight leg. Absolutely love but so HUGE! These are probably the best wide leg jeans I've ever bought! They make your bottom look so nice and your legs crazy long but they're so huge sizing wise. I definitely suggest going down a size or two!! So cute, so flattering!! I love love love these. The denim is soft and structured as well. Kind of like Levi’s. They fit a little larger so I did size down. I’ve seen a lot of girls wear these jean and they look so good! I bought them and they were terrible. Size down .. denim forum fits a size larger. Super flattering jean that look like you got from a vintage store !